Spread tortillas with peanut butter. Spread ice cream topping carefully over peanut butter. 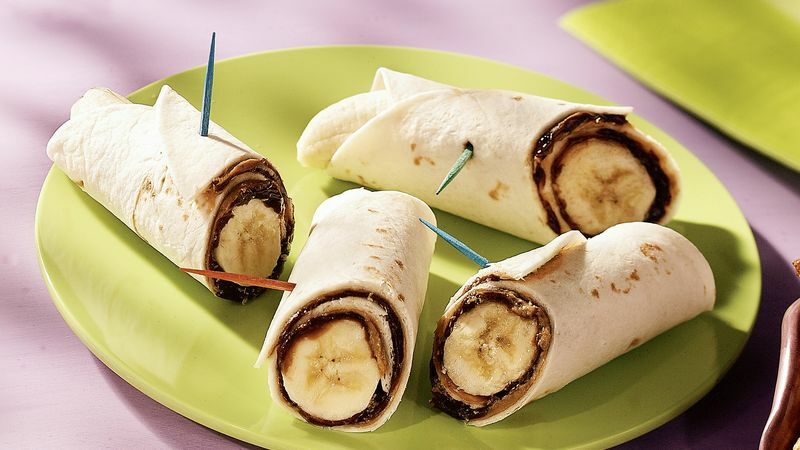 Place banana in center of each tortilla. (If bananas are very curved, make 2 cuts at intervals on inside edge to make them lay straight.) Sprinkle each with wheat germ. Roll up tortillas. Cut each in half diagonally.